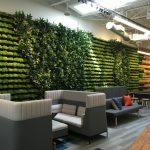 How bringing natural environments to the workplace can actually improve employee wellbeing, why employees want modern technology in the office, and more news. A new study finds that open offices could be making you healthier, what the future of work looks like according to kids, and more news from around the web. 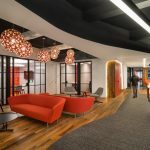 For a preview of how those born between the mid-1990s and mid-2000s will want to experience the workplace, just look to what higher education is doing. This week the new offices of Colliers International in Toronto and a 14-story “dual use” building in the DC area plus other pieces caught our editors’ attention.